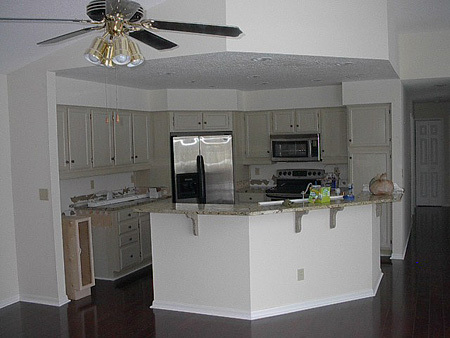 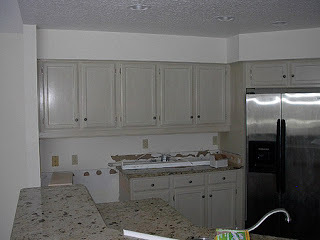 These kitchen cabinets where painted with a very subtle faux finish. 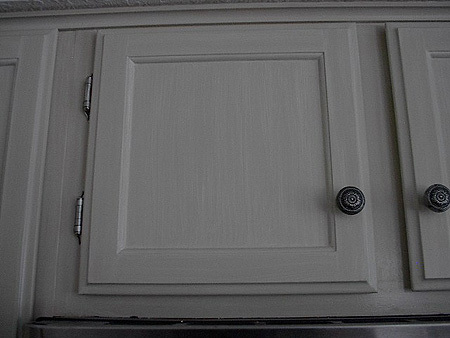 I first painted them a solid color and after that dried I used the next color up on the color strip to apply a striated faux finish. 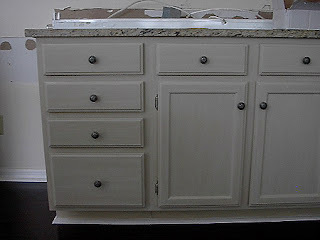 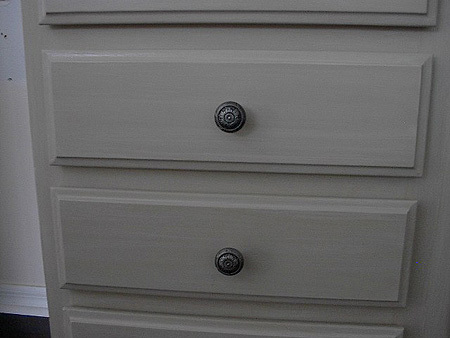 This resulted in a very nice soft faux finish. Of couse its hard to photograph these subtle techniques but here are some pictures. As you can see the kitchen is still under remodeling construction. 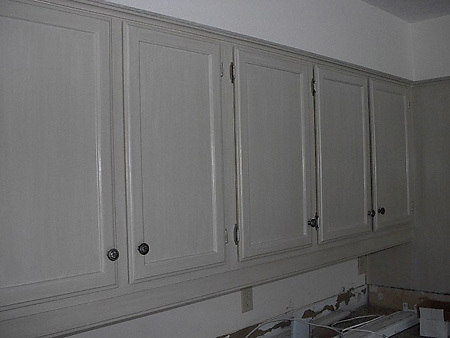 These cabinets where a dark purple in color when I started.